You may have heard of an orthodontist, but how are they any different from a dentist? 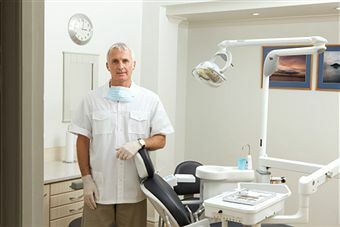 While dentists usually focus on maintaining good oral hygiene, orthodontists specialize in Orthodontics which is a branch of dentistry designed to focus on treating patients with improper positioning of teeth when the mouth is closed, as this can lead to an improper bite, difficulty speaking and chewing, TMJ disorder and worn down teeth. This branch of dentistry also covers the development and shape of the jaw, as well as treating and controlling various aspects of facial growth. Orthontics derived from two greek words, Orthos which means ‘straight, perfect or proper’ and Dontos which means teeth (although they used to be called Orthodontia). Aside from treating any serious issues a patient might face, orthodontics also include cosmetic dentistry, which helps the patient improve his or her appearance based on what they want to achieve in their smile. If you are one of the many patients who has misaligned teeth, book an appointment today at North Shore Dental Group to achieve straight teeth and a healthy smile that will last you for years.